As a leading futurist, Jim Carroll wakes people up to the trends that will affect them, and challenges them to cope with a world that continues to witness constant, relentless, dramatic change. He is recognized for his critical thinking and business-oriented view of issues related to emerging technologies, social, consumer attitude, workplace, demographic and lifestyle issues, as well as economic and business trends. Jim's programs are delivered with his signature humor, high-level energy, deep insight and challenging observations, and are based on extensive research and customization. He has authored and co-authored some 34 other books, including the critically acclaimed books Surviving the Information Age, The Future Belongs to Those Who are FAST; Ready, Set, Done and What I Learned from Frogs in Texas: Saving Your Skin with Forward-Thinking Innovation. Jim Carroll is recognized worldwide as a “thought leader” and authority on: global trends; rapid business model change; business transformation in a period of economic uncertainty; and the necessity for fast paced innovation. He has a track record of inspiring organizations to reframe the opportunity for innovation in the context of significant, transformative change. Carroll is an author, columnist, media commentator, and consultant, with a focus on linking future trends to innovation and creativity. He has a 20 year track record in providing direct, independent guidance to a huge, diverse global client base. Jim has researched key innovation success factors for dozens of associations, professions, companies, individuals, and industries including life sciences, health care, insurance, automotive, manufacturing, agriculture, technology, education, government, consumer products, retail, banking and countless others. His insight has been recently covered in the UK Telegraph, Dubai’s Capital Magazine and South Africa’s The Star Newspaper. BusinessWeek named Jim as one of four leading sources for insight on innovation and creativity; he was a feature expert on the Primetime CNBC series. Jim is also an author, with books including The Future Belongs To Those Who Are Fast, Ready, Set, Done: How to Innovate When Faster is the New Fast and What I Learned From Frogs in Texas: Saving Your Skin with Forward Thinking Innovation. He has participated in over 3,000 interviews with ABC News, BusinessWeek, INC, Fast Company, CNBC, Texas Meetings and Events, The South China Morning Post, STOrai Magazine, The Age, American Way, CAPITAL Magazine, CEO Magazine Hungary, Association LEADERSHIP, The National Post and PROFIT, to name but a few. Jim is a graduate of the University of Toronto – Rotman Business School Directors Education Program, as his career path increasingly comes to include strategic guidance at the corporate Board level. Everyone in a leadership position in the health care system knows that the challenges are substantial and immense. A rapid increase in lifestyle disease, skills shortages, the acceleration of science and medical device technology, combined with cutbacks in funding and resources. That’s why innovation has quickly come to be one of the top issues that senior health care executives and medical professionals are focused on. There is a realization that there is an urgent need to challenge the very philosophies upon which the system is built. That’s why the insight of global futurist Jim Carroll is so timely. In this cutting edge keynote he will provide you with insight into the major scientific, technological, consumer and social trends that will, by the year 2030, allow for some very dramatic changes in the concept of health care delivery. Where will we be the year 2030? We will have successfully transitioned the system from one which “fixes people after they’re sick” to one of preventative, diagnostic genomic-based medicine. Treating patients for the conditions we know they are likely to develop, and re-architecting the system around that reality. A system which will provide for virtual care through bio-connectivity, and extension of the hospital into a community-care oriented structure. A consumer driven, retail oriented health care environment for non-critical care treatment that provides significant opportunities for cost reduction. Real time analytics and location-intelligence capabilities which provide for community-wide monitoring of emerging health care challenges. “Just-in-time” knowledge concepts which will help to deal with a profession in which the volume of knowledge doubles every six years. That and much, much more. The fact is, we are going to witness more change in the scientific and technological world of health care in the next ten years than we have seen in the last 25. In his Healthcare2030 keynote, Jim puts into perspective why innovation is no longer just a fashionable phrase — it’s the critical new leadership focus for executives in the health care sector. Collapsing product lifecycles. Mass customization. Digitization, robotics and the cloud. Design based on crowd thinking. Build to demand, as opposed to build to inventory, business models. The role of the Internet of Things in product innovation as well as manufacturing process innovation. Spatial-innovation with advanced manufacturing robotics. New materials and substances that allow for change in product development. Rapid prototyping, sketch to scale, and agility-based business models…. are you ready for the new world of manufacturing? While the popular media and opportunistic politicians portray a picture of a sector in crisis, smart manufacturing executives are furiously busy with innovation, reinventing their capabilities, processes and business models using advanced ideas, materials, methodologies and technologies. The reality of manufacturing today is that there is a big opportunity that comes from aligning to fast paced trends. 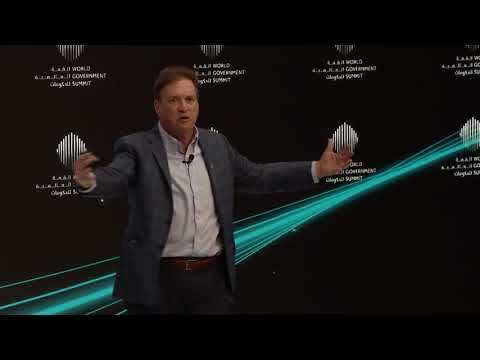 What a time for innovation opportunity, and for insight from a great keynote that really puts all of these trends into perspective… Futurist Jim Carroll takes you into a voyage about the current and future opportunities in the world of manufacturing. Some of the largest manufacturing and industrial organizations in the world have engaged Jim to help them think about opportunities for innovation. Jim recently keynoted the IMX – Interactive Manufacturing Exchange Congress in Las Vegas with an audience of over 2,000 senior manufacturing executives, and the BigM Manufacturing Summit in Detroit, as well as the American Manufacturing Summit in the same city. Let’s face it: the trends impacting life and property/casualty and groups benefits insurance companies are real. The industries will be disrupted by tech companies. Existing brokerage and distribution networks will be obliterated as more people buy insurance direct. Predictive analytics will shift the industry away from actuarial based historical assessment to real-time coverage. Policy niches, micro-insurance and just-in-time insurance will drive an increasing number of revenue models. The Internet of Things (IoT) and massive connectivity will provide for massive market and business model disruption. Fast paced trends involving self-driving cars, the sharing economy, blockchains, personal drones, swarmbots, smart dust, artificial intelligence and augmented reality will either mitigate, accelerate or challenge the very notion of risk assessment and underwriting! What happens when Amazon, Google or some kid in a garage decide to really change the insurance business model? What seemed to be science fiction just a few short years ago has become a reality today, as time compresses and the future accelerates. Whichever way you look, all sectors of the insurance industry are set for an era of disruption, challenge and change! Is the industry ready for transformative change? Not really! A recent survey indicated that while 94% of Chief Strategy Officers at insurance companies agree that tech will “rapidly change their industry in 5 years,” fewer than 1 in 5 CSOs believe their companies are prepared. Does the insurance industry have the innovation culture necessary to deal with the potential for what comes next? Maybe not. Jim has been the keynote speaker for dozens of conferences, corporate events and association annual meetings in the insurance sector, including • Certified Professional Chartered Underwriter Association • LIMRA International • Assurant Insurance • Chubb Commercial • Lincoln Financial • GAMA International • Cigna • Blue Cross Blue Shield •Equitable Life Insurance Company •RBC Life Insurance •MetLife •SwissRe •American Institute of Actuaries • American Automobile Association • FM Global and SunLife. Jim led a discussion on the future of insurance at a private meeting that included CxO’s from most major insurers, including Allianz, XL Insurance, Travelers, AIG, Zurich Financial Services, Allstate, AXA, MetLife Auto & Home, Farmers, CNA, Nationwide, American Famity, Chubb, Ping An, Lloyd’s of London, Liberty Mutual, The Hartford, Generali, GEICO, State Farm, Progressive, and RSA. Jim Carroll has been helping insurance organizations in the world understand the tsunami of change that is FinTech, the impact of mobile technology, social networks, rapid business emergence, accelerated risk, the emergence of new global competitors and heightened customer expectations. In his keynotes he puts into perspective the real trends impacting the future of insurance, offering critical insight into the key innovation and leadership strategies in a time of disruptive change. The Jetsons Have Arrived 50 Years Early: What Are YOU Going to Do About It? We have a new vocabulary! Self-driving cars, 3d printing, crowdfunding, the sharing economy, blockchains, personal drones, swarmbots, smart dust, vertical farms, Internet of Things, cognitive computing, smart factories, artificial intelligence, augmented reality, quantum computing, intelligent farms, smart clothing! What seemed to be science fiction just a few short years ago has become a reality today, as time compresses and the future accelerates. George Jetson lived in the future, but the future is here now. Take a voyage with Futurist Jim Carroll into the world of tomorrow, today, as he outlines the key trends, technologies, ideas and initiatives that are transforming the world around us at hypersonic speed. A world in which the medical tri-corder of the 23rd century is available today, the idea of Rosie the Robot is no longer a figment of our imagination but an emerging reality, and the flying car of the future will quickly morph into reality from today’s fast moving drone industry. In just a few short years, it will be the year 2025, and the world of tomorrow will be your reality of today. Are you ready for what comes next? Amazon is the elephant in every industry room. They will challenge and disrupt your business model, and shake your belief in the future to the core. Why not change that before it changes you? Don’t wait for Amazon to disrupt you – disrupt yourself and disrupt Amazon first! As we witness the Amazonification of industries, deep insight into this massive-but-cheetah-like-elephant is critical, a fast strategy is required. 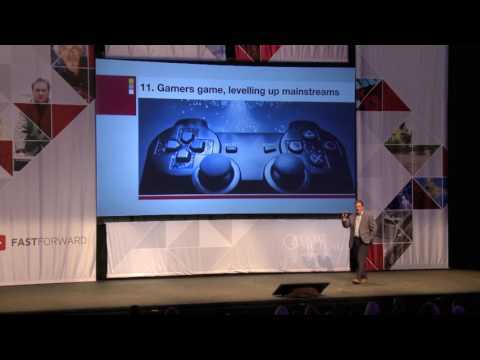 Futurist Jim Carroll has a key message: Don’t compete — transform! When Amazonian scale disruption occurs, you can’t hope to complete on price, the sophistication of the online interaction, or the other areas in which Amazon (and similar disruptors) clearly excel. You need a different proposition, different ideas and a different strategy. In many cases, this will come about through an implicit decision to compete based on the unique value you can bring to the relationship – service, support, personal interaction and other factors. In doing so, you specifically choose to not compete based on a race to the bottom and price. Futurist Jim Carroll has headlined ‘Amazonificaiton strategies’ at a wide variety of corporate leadership meetings and association events in the medical, dental and veterinary industries; in the global optometric industry; in the agricultural dealer market, in the home renovation sector, and many more. He has provided deep insight on the transformative strategies and mindset that needs to be pursued. The acceleration of disintermediation via Amazon is a cruel reality of our modern day world. Think about the business model of a a group of agricultural dealers who sell products to farmers. The simplistic view is that they buy products from the manufacturer, and then sell them to the farmer, with an obvious markup in price. Amazon could do this (and will) with a more sophisticated online system, and avoid the cost of the markup, thereby offering a lower cost alternative. How to compete? Become an invaluable partner to the farmer in terms of advice, expertise and personal support for new initiatives, products and ideas. In the era of Amazon, you can’t hope to compete on price — because you will watch your business disappear! Futurist and innovation expert Jim Carroll outlines the key trends, strategies and opportunities to be pursued in the ear of Amazonian acceleration! We will see more change in every industries in the next 10 years than we have seen in the last 100 as transformation and disruption sweeps the world, Every company is faced with the rapid emergence of new competitors, significant new business models, more challenging consumers, the acceleration of science a race to the pricing bottom, and a transition to the speed of innovation that will define their future. How do you get ahead? By turning on your innovation engine, firing your creativity thrusters, and strapping in for a rocket ride into your faster future. In this keynote, futurist and innovation expert Jim Carroll shares the insight that he has gained by spending the last 25 years with a relentless focus on what turns organizations into high-velocity innovation heroes. None other than NASA has invited Jim in - twice - to share his insight on innovation strategies. Innovative organization accelerate their creativity by turning their innovation engines upside down, focusing on customer oriented innovation and other unique models. They excel at sourcing ideas from the outside, turning that unique insight into fuel for their internal innovation factories. They challenge themselves on speed by getting into an iterative process of constantly rethinking, adjusting and redoing in order to discover the next best thing. They challenge themselves on business cycles, time to market and more. In accelerated organizations, partnership is a key focus, collaboration is critical, agility is oxygen and imagination is relentlesss. Launch yourself into the faster future with this unique, high energy keynote for global futurist, trends & innovation expert Jim Carroll. We live in a time of massive challenge, and yet one of massive opportunity, with every industry and organization impacted by business model disruption, the emergence of new competitors, the impact of technology, the collapse of product lifecycle, political volatility and ever-more challenging customers. Those very things which might have worked for us in the past might be the very anchors that could now hold us back as the future rushes at us with ever increasing speed. In the era of Uber, Tesla and Amazon, leaders must have the insight into unique opportunities for innovation and change. Small, quick upstarts like Square are challenging the global credit card industry, at the same that GPS based driver monitoring devices are rewriting the rules of the auto insurance industry. The NEST Learning Thermostat morphs from a quiet startup to a worthy challenger to industrial energy device powerhouses. Autonomous vehicle technology leads us to road trains and a more rapid emergence of intelligent highway infrastructure. We’re in the era of the end of incumbency, in which small dominates big, fast trumps ponderous, and indecision spawns failure. Everywhere we look, we can see acceleration, speed, and velocity: and in times like these, time isn’t a luxury. These trends matter — because we are at the dawn of a time in which “software is poised to take over the world.” That’s not an understatement – it’s a reality. In this keynote, Jim Carroll takes you on a voyage into how the new rules of business and technology are providing for a reality in which the spirit of agility isn’t just an option – it’s the new normal. He provides you with a highly customized overview of the key trends impacting your organization, and invaluable leadership lessons that provide a clear path for going forward. In an era of dramatic and relentless change, people and organizations are scrambling to align themselves for a new, topsy-turvy world. Jim Carroll comes to the rescue with his keynote, The Masters in Business Imagination, which will inspire your team to adopt relentless creativity and innovation as core virtues. Once you ‘graduate’ from his MBI class, you’ll possess the skills common to this critical degree of the 21st century economy, by linking your initiatives to a carefully calibrated curriculum of change-oriented thinking. MBI’s see things differently – they don’t look at things like most people. MBI’s spur creativity in other people – they inspire others to develop similar levels of imaginative thinking. They focus on opportunity – not threat, and realize that action, not inaction, is the driving force for the future. They refuse to accept the status quo and are prepared to eliminate habit. MBI’s bring big ideas to life – and paint pictures of where the organization is going to go, rather than focusing on where it has been in the past. They learn and unlearn, forgoing the dangerous assumption that what they know today will carry them into tomorrow. Most important of all, they refuse to say the word CAN’T. They know that barriers, perceived or otherwise, are simply temporary roadblocks that they can get around with fresh insight, imaginative analysis, and creative thinking! Fire up your enthusiasm, energy and innovation spirt with a unique motivational keynote by futurist Jim Carroll, as he inspires your team to align themselves to the only degree they will need for the future – The Masters in Business Imagination! Every industry is set to be transformed as an era of hyper connectivity becomes the new norm. The result? Massive business model disruption; the rapid emergence of new competitors; industries in which customers empowered with mobile devices control a wide variety of devices that are a part of their daily lives; unique opportunities for deep analytical insight into trends and opportunities emerging in industries; a reinvention of manufacturing, logistics, retail, healthcare and other industries because of consumers that are empowered, connected, and enabled with a new form of lifestyle management that we’ve never witnessed before. The Internet of Things is real, and it is unfolding at a blistering pace. We’re in the era of connected thermostats that link to an intelligent energy grid and autonomous vehicle technology that is self-aware and networked into sophisticated, intelligent highway flow control systems. A connected trucking fleet that is self-diagnostic and predictive. Intelligent home appliances that link to packaged food products that automatically upload carb, sodium and other dietary information as part of an overall health and wellness program. Jim has been talking on stage about The Internet of Things since the late 1990’s, when he began using the phrase “hyper connectivity” to describe a world in which “every device that is a part of our daily lives is about to become plugged in.” Since then, he has delivered his insight on the topic to a wide variety of organizations: several global technology leaders with a keynote talk on the future of home automation; several of the world’s largest HVAC companies about what happens when a global, intelligent home and industrial energy infrastructure emerges through widespread connectivity; consumer, food and packaged goods conferences about the impact of intelligent packaging. He has been booked by many leading global health care organizations for keynotes that have focused on what happens when consumers start aligning their wellness strategies through their own personal healthcare infrastructure. The Internet of Things is a substantive, transformative trend that will provide more change in every industry in the next ten years than they’ve seen in the last thirty. Jim Carroll already has over a dozen years of on-stage experience with the topic, and can help you understand the strategies, risks and opportunities that you need to be aware of as you move into a hyperconnected future. In as little as ten years, the very concept of money will have been forever changed. And the fact is, its happening now in real time. Yet making sense of the reality is a challenge. Headlines scream of an ongoing rise but heightened volatility with the grandfather of all crypto-currencies, Bitcoin. At the same time, a new vocabulary has emerged that involve radical new concepts, the decentralization of authority, and rapid hyperinnovation : blockchain, Ethereum, ASIC and currency miners, hard forks and smart contracts! What does it mean when Jamie Dymon, the head of JPMorgan Chase calls Bitcoin a fraud and the people who buy it "stupid," and yet at the same time, the head of the IMF says that Bitcoin could give existing currencies and monetary policy a run for their money? When a cryptocurrency goes from a valuation of a few hundred dollars to over $10,000 in a matter of months? When 2018 will be defined by an acceleration of the acceptance of distributed ledger concepts at the same time that a horde of fraud artists invade this fascinating new world. And most important of all, what does it mean to your business and your business model? Is it a fraud, or is it a bubble? What's real, and what's not? Are we in the midst of the latest Tulip and dot.com phrase, or is there substantial change underway? In this keynote, Futurist and technology expert Jim Carroll peels away the layers of the world of cryptocurrency, outlining the challenges and opportnities that come with the end of the concept of money as we know it. These are truly transformative times - for the realty of blockchain goes far beyond the current hype surrounding Bitcoin. The concept of distributed ledgers will change entire industries, challenge the very nature of the legal concept of offer and acceptance, and unleash a torrent of hyper innovation around business models. Jims' clients include NASA, Disney, Johnson and Johnson, Mercedes Benz and many more. He has shared his insight on the future around the world, with events in Tokyo, London, Budapest, Dubai, Sydney, Brussels, Munich, and across North America. Big Trends in Agriculture: What Will the Worlds’ Oldest Profession Look Like In 2025? Jim Carroll, an agriculture futurist and innovation expert, will look into his crystal ball and predict what agriculture will be like in 2025. Whether it’s driverless tractors, weed-zapping robots or data-transmitting crops, Jim will forecast what farms might be like in the not so distant future and encourage the industry to embrace high-velocity innovation. Growers that focus on innovation as a core value will find success; their innovation will focus on the triple-feature need for growth, efficiency and ingestion of new science. It will be by adopting new methodologies, products, partnerships and ideas that they will learn to thrive. Jim is recognized worldwide as a “thought leader” and authority on global trends, rapid business model change, business transformation in a period of economic uncertainty, and the necessity for fast-paced innovation. He is known for his focused talks in agriculture : he spent so much time customizing the presentation for one agricultural conference that at the conclusion, one fellow came up and asked him how long he had been a farmer!